So interesting, in fact, that we couldn't resist when a reporter from Estonian daily newspaper Eesti Päevaleht approached us at coModule and pitched us the idea, which was part of a new series of articles called 'Myth Busters'. He had heard about coModule and the solution we have developed providing anti-theft protection for e-bikes, and wanted to find out whether the same system could also be used for regular bikes.  Straight away, the experiment interested us because GPS tracking in the name of security is one of the core values of the technology we have created, and what better way to prove that it works in real life situations? The journalist brought three old retro bikes to coModule's Tallinn office, where we integrated a tracking module on each one. The main challenges were firstly, how to power the module, because unlike e-bikes, these regular bicycles had no battery; and secondly, where to hide the module so it wouldn't be detected. Both of the problems were solved by using a double layer bicycle basket that was attached to the front of the bike. We then installed a separate battery together with the tracking module between the two bottom layers so it could not be discovered without serious effort. After integrating the modules, the bikes could hit the streets. 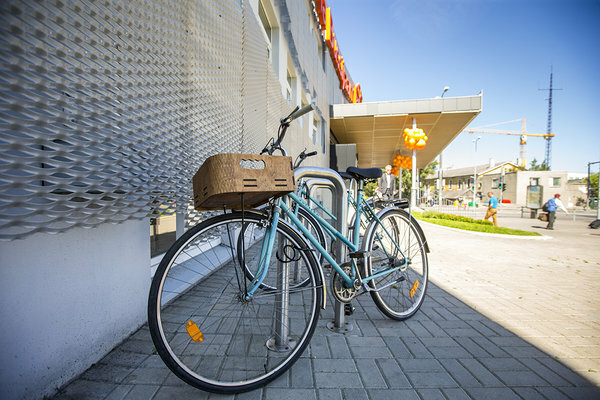 The reporter took each of the three bikes to different areas of Tallinn, locked them up using a cheap bicycle lock, and left them to meet their destiny. At the same time it was possible to track the bikes using the coModule data analytics platform, with the modules sending exact GPS coordinates every ten seconds so the location of the bikes could be displayed on a map. After that, there was nothing left to do but wait. Despite the constant glances to check the platform, the bikes didn't move during the first part of the day. What if everyone in Tallinn was just too honest? But then, not long after the sun set, one of the bikes started moving. It was clear – somebody had taken it (or at least the basket). 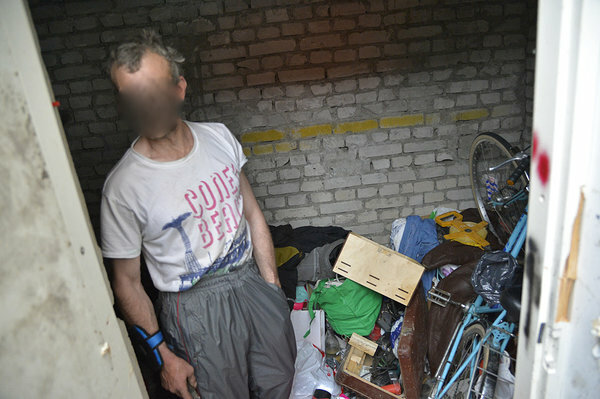 Suddenly, the garage door opened to reveal a man who appeared to be homeless standing there with a familiar-looking bicycle behind him, alongside a huge pile of suspicious-seeming items. The reporter politely asked for the bike back, and the apparent thief had no objection. He just needed to assemble it again as he had already broken it down into parts. With the bike safely retrieved, the police were informed. They quickly found the man and his, erm, belongings. The other two bikes were not stolen during the week they were left out – Tallinn is full of trustworthy people after all – but the experiment was nevertheless a definite success. It proved that coModule's technology works in the real world, and that it helps to fight one of the biggest anxieties people have regarding e-bikes – the fear of theft.